Several options exist for your dewatering & recycling needs. It is important to evaluate your waste needs and determine the best dewatering equipment option for your company. We offer a variety of different types of dewatering equipment to meet your needs. Our Brask experts can work with you to evaluate which equipment will best meet your needs! The Xtractor is much more than a simple can crusher. It is a specialized piece of equipment based on our Patented High Density Extruder that is specifically designed for removing liquids from aluminum cans, plastic bottles and other liquid containers. 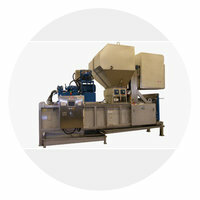 It makes no difference if the package is aseptic, plastic or aluminum the XTRACTOR can do the job. The X3Cycler is the answer for processing large volumes of full plastic or aluminum liquid containers. 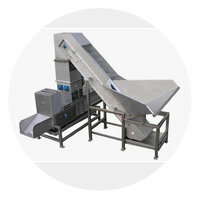 It dumps, perforates, dewaters, crushes, and bales in one compact and integrated system. Large 35 cubic foot bales, high thru-put and corrosion resistant stainless steel construction make it a ideal. The High Density Extruders are used to dewater materials that are saturated by liquids, to extract liquids from many types of industrial refuse byproducts, or to remove liquids from many commonly used packaged products and beverages. Tested and proven time and time again, the High Density Extruder is the best performing, most efficient and most reliable ram press available today. 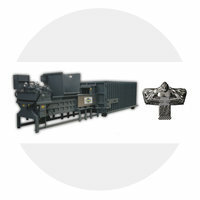 How many High Density Extruder models does Brask offer? What types of packaging can the Brask High Density Extruder handle? The Brask Extruder can process almost every type of packaging in the marketplace, including paper, plastic, aluminum, tin, and steel. Talk to a Dewatering Equipment Expert Today!